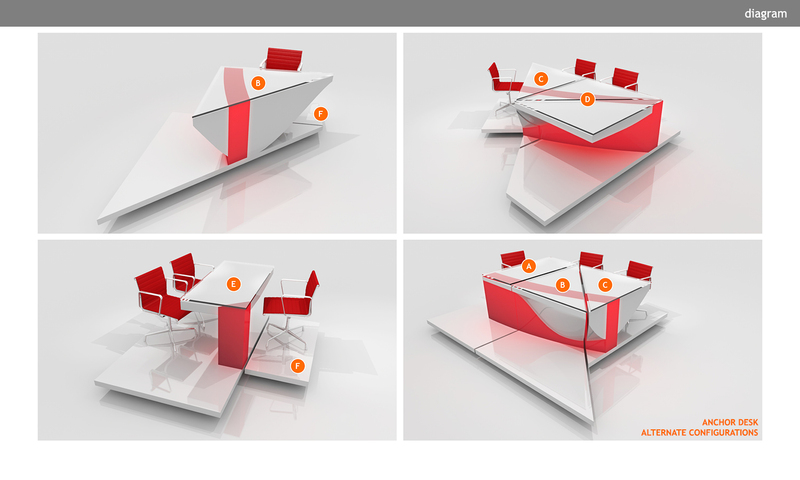 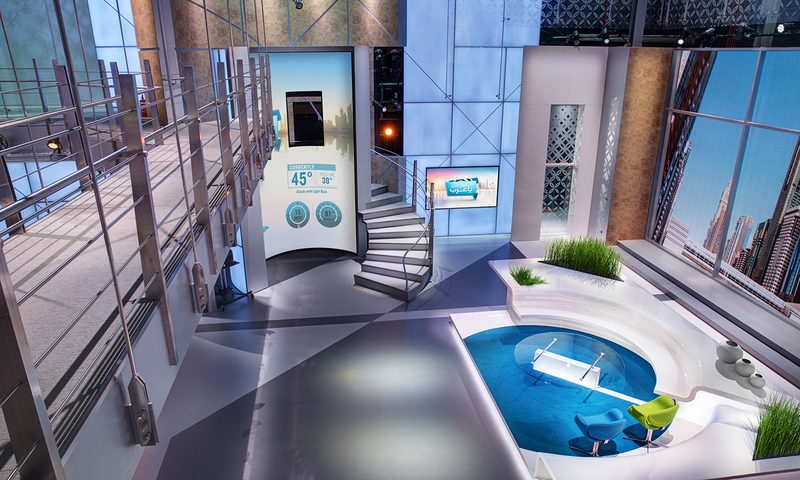 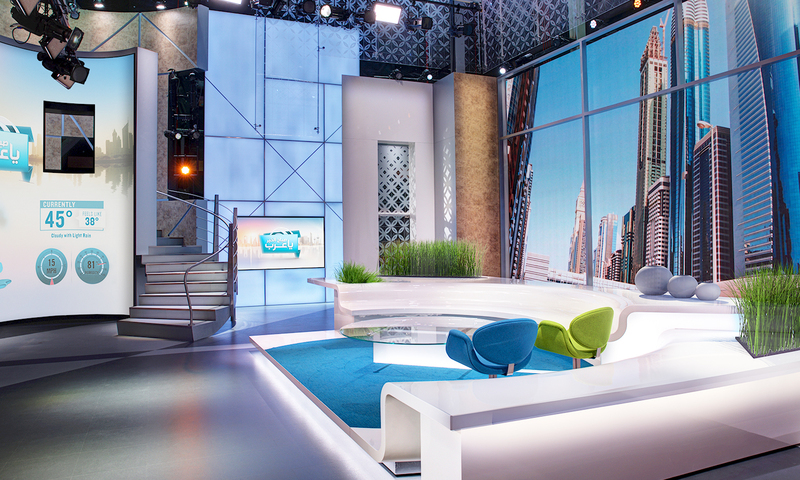 Clickspring’s challenge was to design a 1,850 sq-m (19,900 sq-ft), multi-level, on-air studio environment with three broadcast venues dedicated to news, sports, children’s, and daytime programming. 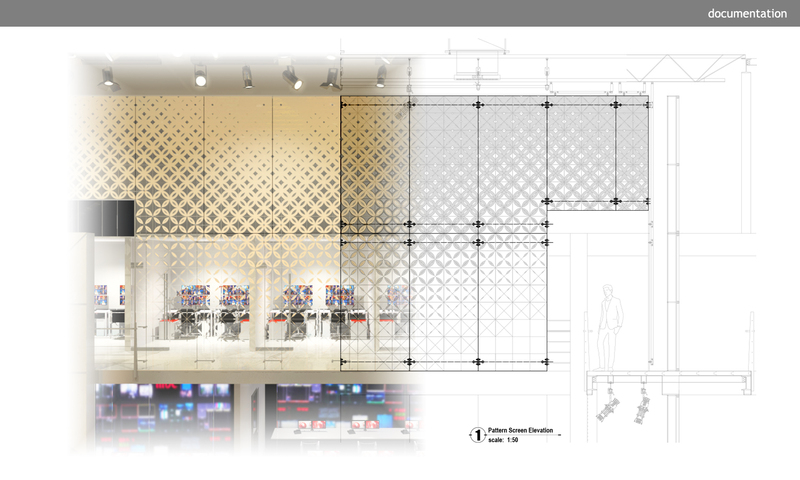 The scope of work additionally included renovating three floors of editorial office space which included private offices, hot-desk workstations, conference areas, editorial suites, a café, and the building’s secure main lobby. 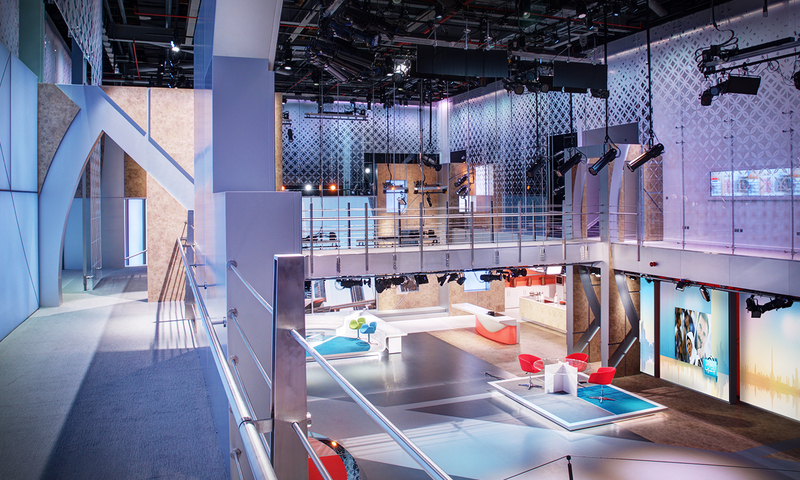 The main studio features a dramatic spiral staircase with an integrated media display, connecting the three studios via a mezzanine level. 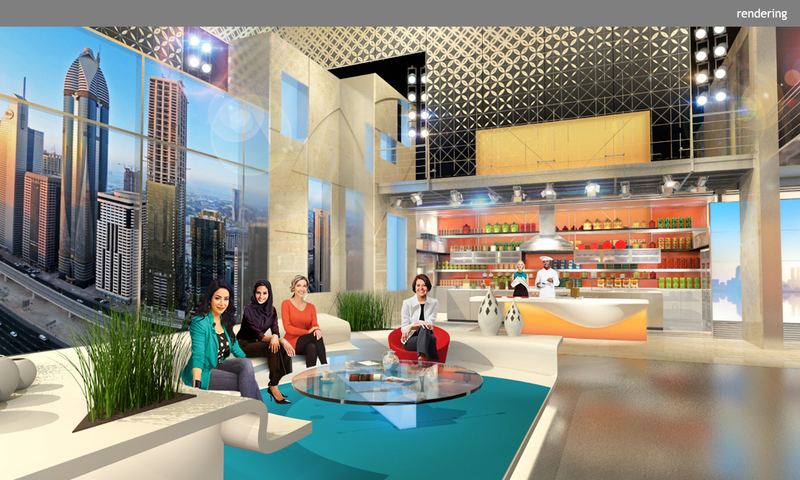 Other prominent elements of the main space include a suspended catwalk bridge, demonstration kitchen, expansive double-height LED vista wall and a star-shaped social media display tower which intersects each studio. 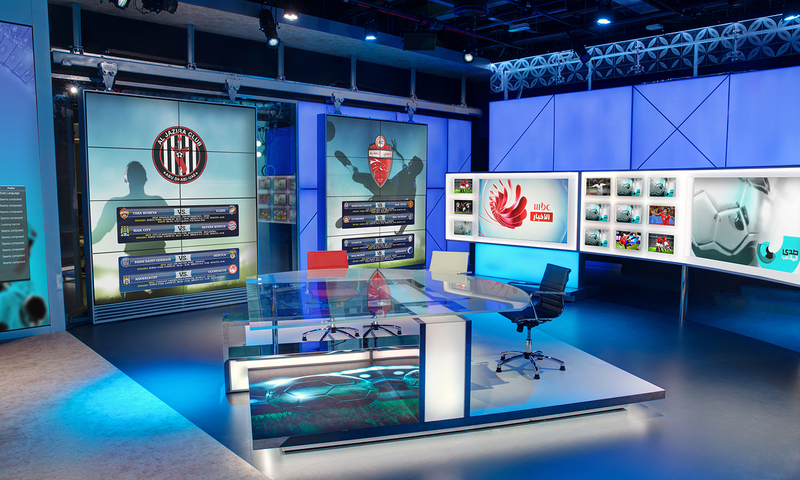 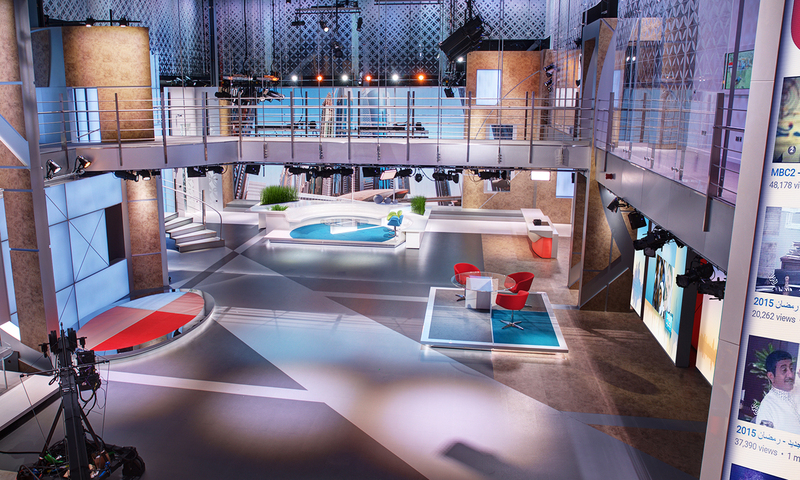 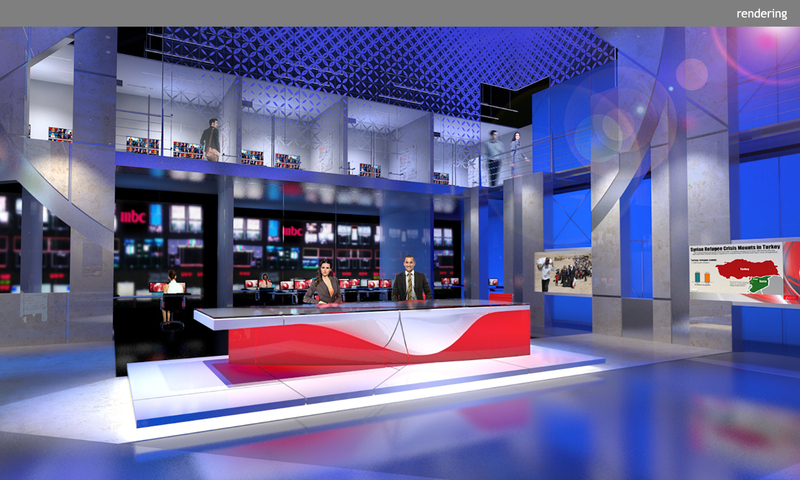 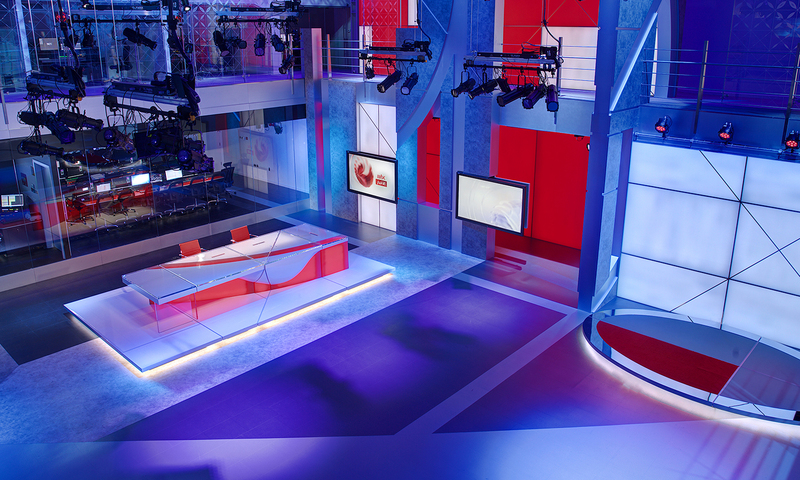 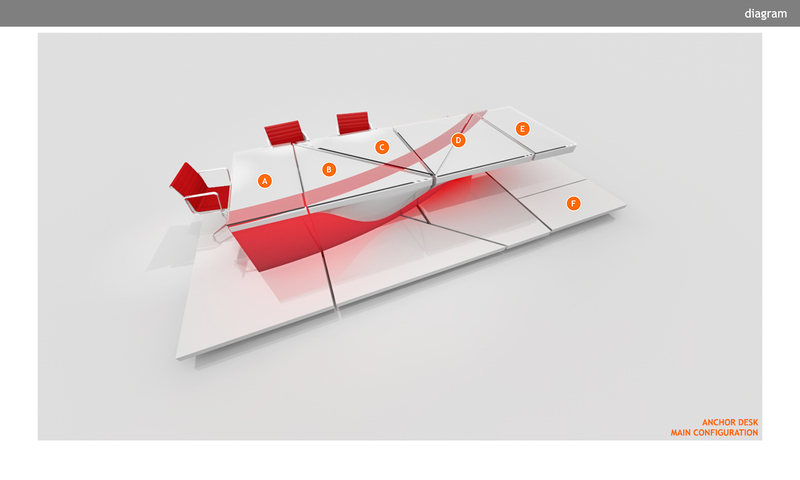 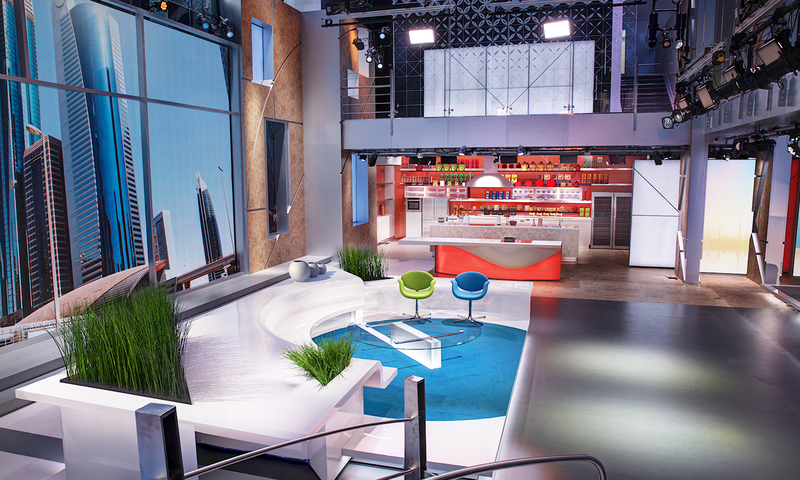 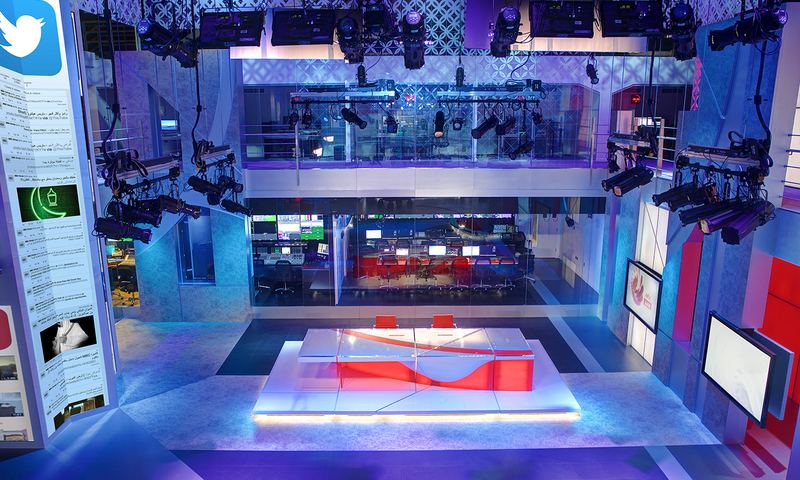 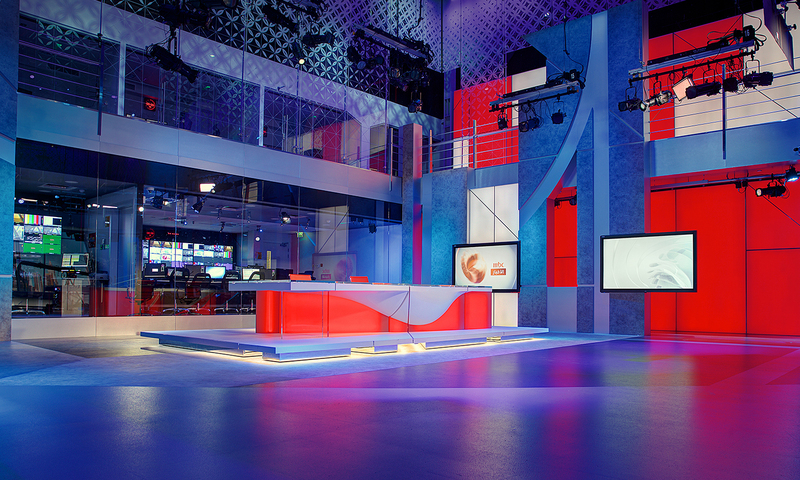 Multiple tracking monitor arrays and an elaborate, reconfigurable anchor desk complete this dynamic broadcast space. 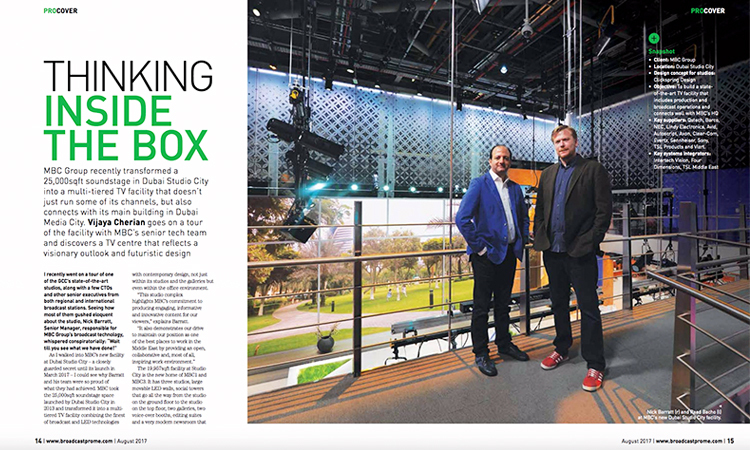 The Clickspring Design team was inspired by classic Islamic architecture and design, especially the geometry of tessellation — the repeated use of small blocks or tiles as in mosaic.